Handcrafted in Italy, YAR is the only home audio system in the world capable of offering an immersive audio experience. Just 100 customers are able to enjoy the crème de la crème of bespoke audio systems. Now however guests of The Mandrake will join the ranks of these lucky few as it announces it will be the only hotel in London to showcase YAR’s pure, natural and three-dimensional sound. Thanks to this exclusive partnership, guests will be offered a complimentary private listening session during which they will hear their favourite music presented in a totally emotional and immersive way. It will be as if the musicians were there with them, with no barriers and with the full range of deep emotions that only a live performance can bring about. When the First Cellist at La Scala Opera House states that listening to music on this system is like being at a live concert performance, you know this is something special! YAR was conceived when, inspired by walks in the woods near his home outside Turin, Giancarlo Sopegno, a classical pianist, set out to develop a system that could reproduce “pure sound” as found in nature and at the same time introduce the same level of detail and exclusivity to sound systems as supercar brands such as Ferrari or Rolls Royce bring to their cars. Truly the “haute couture of audio”, each YAR takes three months to make, and, on top of its full body in carbon fibre, can be customised with a range of materials such as exotic hardwoods, precious leathers and metals like titanium, silver and gold. Once delivered, the artisans and designers in Italy who produce it spend a day with the client to install the system in their home anywhere in the world. The YAR experience is free of charge for residents of The Mandrake. 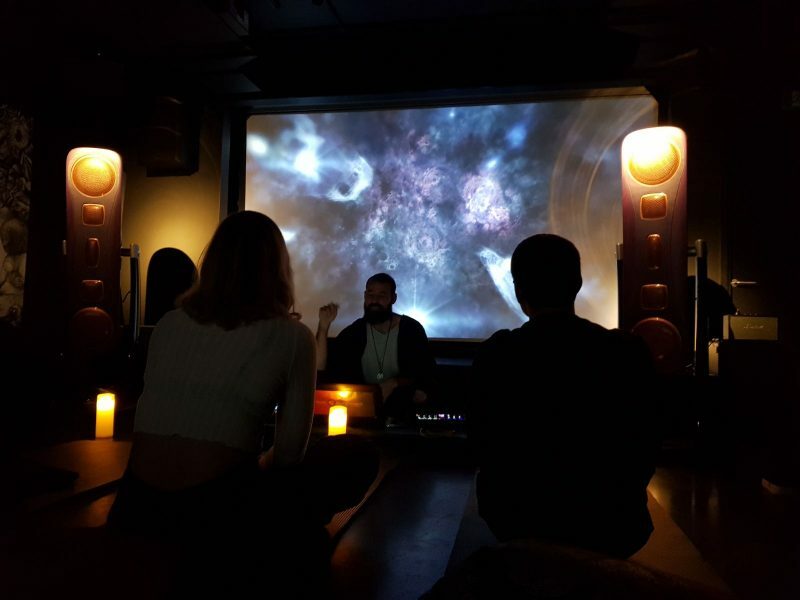 For the ultimate in sensory experiences, YAR can be combined with Sonic Enchantment, a deeply restorative and immersive sound meditation created by Fabio Garces. Ten years in development, this unique practice seamlessly integrates modern psycho-acoustic technologies like binaural beats and brainwave entrainment with more organic and traditional sound healing practices. The result is a wide range of transformative benefits such as restoration and the re-emergence of balance and inner calm. Group sessions are available on Wednesdays at 7pm, priced at £35 per person. Private sessions curated by Fabio to suit guests’ specific requirements can also be arranged.